Add 4 Tablespoons of chia seeds to one cup of water and let it chill in the fridge overnight. After the chia seeds have swelled overnight, boil one cup of water and add honey to dissolve. 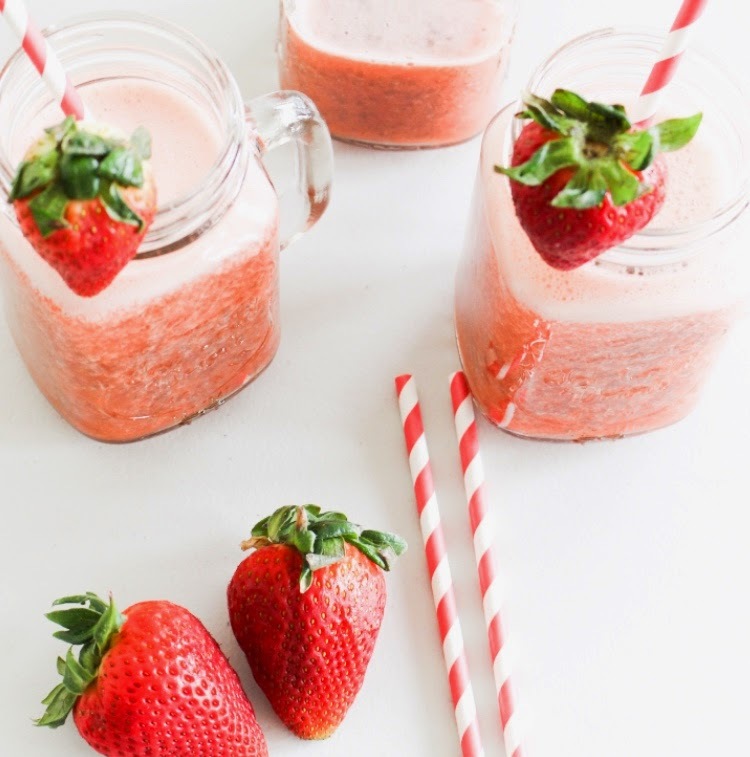 In your blender add strawberries, lemon juice, 1 cup water, and the water with dissolved honey, and blend well. Mix in the chia seed water without blending, or blend it in as well.